“After a long period of rapid growth, house prices have stabilized since 2013. A sharp reversal could have a significant impact on consumption, even if banks’ exposures could be managed (…). 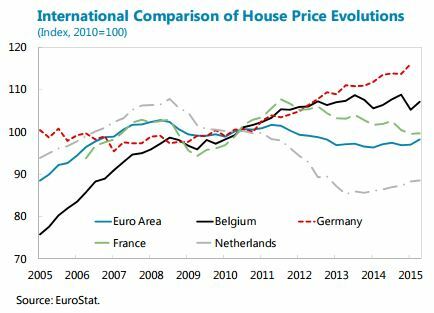 However, staff analysis does not suggest a major overvaluation, as past price trends were broadly in line with borrowing cost, demographic and income developments”, according to the IMF’s new report on Belgium.